Denmark – Leading microphone manufacturer DPA Microphones has consolidated its position in the market by joining forces with The Riverside Company, a global private equity firm that focuses on acquiring strong and growing businesses. The Riverside Company's investment in DPA Microphones will allow DPA to significantly expand its operation and grow the company at a much faster pace. "DPA is already a very successful and profitable company, which has been experiencing a 15% increase in sales, year on year, for the last five years," says DPA's CFO Christian Hoff. "With Riverside involved, we anticipate even stronger sales growth in the next five years." Riverside has long experience in the audio and electronics industry, having previously invested in German loudspeaker company Teufel, which was successfully divested in 2010. More recently Riverside acquired BLUE Microphones, a US manufacturer of consumer and performance microphones and related products. 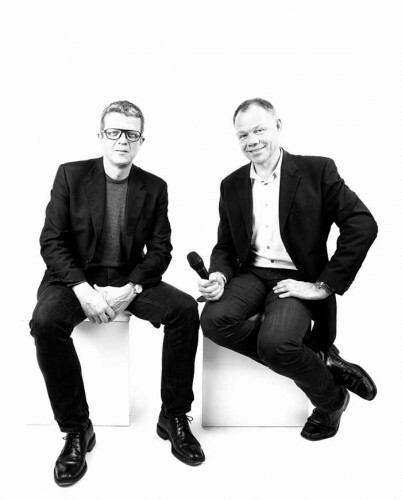 Riverside Partner Thomas Blomqvist says that Riverside saw DPA Microphones as an attractive partner because it has an innovative and well-designed product range and an international reputation for delivering outstanding quality and durability. “This is a solid foundation for further growth, and Riverside’s global network and experience in the audio industry should help propel DPA to further success,” he says. Under the terms of the new deal, DPA's CEO Christian Poulsen and CFO Christian Hoff have retained their current positions in management and on the board, along with a 40% shareholding. Riverside is now the majority shareholder and will also have representation on the DPA board. "For our day to day operation, it is business as usual," Christian Poulsen says. "What has changed is our ability to capitalise on our current success and make this even more significant in the future. Riverside has an extensive network worldwide, many of whom are specialists in the audio industry and have deep technical knowledge and experience that we can exploit. This investment will allow us to develop new technologies and new products at a much faster pace. It will also allow us to move into new markets and attract more good people to our brand, while still properly supporting our existing customer and partner base." DPA makes an array of microphones geared toward demanding professional users in application areas such as theatre, broadcast, public address/live and studio. Its current product range includes headset, lavalier, instrument, and vocal microphones. In addition, the company makes adaptors and a variety of accessories to complement its offerings. DPA’s products are sold through own sales offices in Denmark, the US and Hong Kong as well as through a worldwide network of licensed distributors, and are used by many of the world’s top studios, broadcasters and recording artists. Working with Thomas Blomqvist on the transaction for Riverside were vice president Björn Larsson and associate Martin Gustavsson. Principal for origination Lars Eriksson sourced the opportunity for Riverside. In picture: Christian Poulsen and Christian Hoff.